For this assignment I thought the most fitting choice for a blog to showcase would be the first blog I ever remember reading, blazersedge.com. 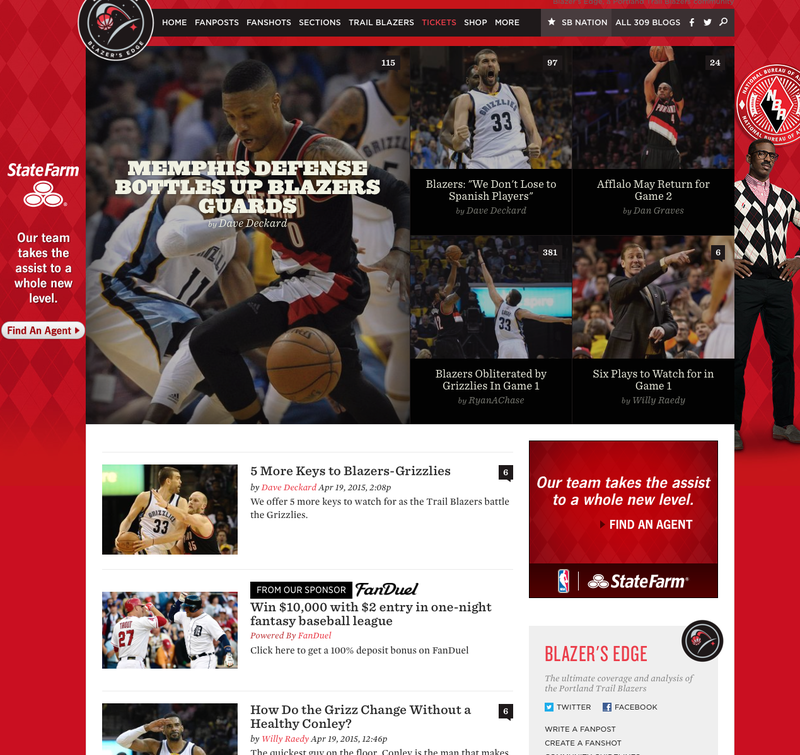 Back when it was created it was just an independent blog started by a couple of Portland Trail Blazer fans. It lead to a long running blog that is linked up with the prominent sports blogging site sbnation.com. Ben Golliver who was one of the original writers for the blog ended up getting hired by sports illustrated which is every sports writers dream. My dad is a sports writer, and I remember when this blog first came out he discounted the credibility of blogs. As time has gone on he has been forced to accept blogs based off of the success of them. Especially with blazersedge.com. It is the official blog linked with the team now. I think that they have made a lot of progress since the blog has started. I do think at times in the past the writing has been a little rushed, but for what it is I think they have done a good job at getting material out quickly for the fans to respond to. A huge part of blogs is the ability for the reader to make comments and observations quickly about the reading . With sports timing is very important, and the quicker you can get your audience the info the better. The tricky part is still giving them legitimate info and not trying to rush things. Blazersedge I feel is a great example of something that did not happen over the night. They did not have any credibility when they started and they created it with just by giving people a platform to talk about the Blazers on. I am a huge sports fan myself and hope someday to start my own podcast, so they way they are pioneers for blogging in Portland sports has inspired me. This entry was posted in Sp15-P3 Blog Search on April 21, 2015 by deweyeggs.